A recent survey by GrowthZone found that over half of associations cite member recruitment and retention as their biggest challenges. In addition, the aforementioned Marketing General survey said the number one reason given by members for not renewing is lack of engagement with the association. Typically, associations put resources into new member recruitment and renewals, but often don’t focus enough on engagement. “Retention is the outcome of effective engagement,” says Mundschenk. Marketing General’s 2017 Membership Marketing Benchmarking Report found that of the associations that experienced renewal rate increases, 68 percent of them had a strategic plan that addressed increased engagement. The more deeply engaged a member is in association activities, the more likely they are to extract value from their investment. The more value they get, the more likely they are to remain members. That value could come from any one of the association offerings — whether it’s attending conferences, taking part in education or certification programs, participating in webinars, purchasing books and materials, utilizing affinity programs, or consuming any other products or services. In addition, a growing number of organizations are embracing micro-volunteering, which involves developing opportunities for members to participate in short-term projects that serve to engage those members that don’t have the time to devote to serving on the board, participating as part of a committee, or taking part in other time-consuming activities. To help stimulate growth, many boards are spearheading member engagement strategies. As part of its efforts in this area, BSCAI uses data to understand membership behavior. The idea is to identify characteristics of those members who might be at-risk of leaving. There are numerous ways that staff can do this. Some associations develop an engagement scoring system by assigning values to different association activities and then calculating scores based on the activities in which each individual member is involved. 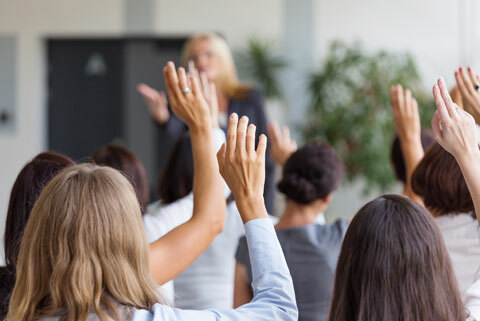 For example, attendance at the annual conference might be assigned a certain value, while enrollment in a continuing education course might have another and service on a committee or task force still another. Add these scores up for each member and the higher the score, the more engaged that person is with the association. Those with lower scores are viewed as less engaged. At the far end of that spectrum would be those who do nothing but pay annual dues — they would obviously be considered the most at-risk to not renew. The goal then becomes targeted outreach to these members to encourage them to take advantage of association offerings, often employing incentives to get them active. BSCAI has a dedicated team member who focuses solely on engaging established members, particularly those who are deemed at-risk. The goal of the engagement team member is to make sure members are fully aware of how the organization can provide value to them. Through surveys or via one-to-one outreach, the team member learns more about the individual needs of the BSCAI member and seeks to connect them with the association programs and events that might benefit them most. It’s important, Mundschenk adds, that member engagement is a year-round effort and not just something done annually at renewal time. The other group that’s critical to focus on is the association’s newest members. New members are the most likely to allow their membership to lapse. The typical retention rate for first-year members of associations is about 74 percent, according to Marketing General. That means almost one-quarter of new members are likely to leave the organization after one year, before they even had a chance to fully explore its benefits. Also consider that it costs about seven times more to recruit a new member than it does to retain one, according to GrowthZone. The idea of spending a lot of time and money to get someone in the door only to watch them leave after one year is counterproductive. To help retain those new members, BCSAI created a Member Engagement Committee. The Member Engagement Committee consists of association veterans who are deeply involved in the organization. Throughout a new member’s first year, these peers reach out to welcome them to the organization, and introduce them to the various programs and events that the association offers. The idea is to spread their knowledge of, and enthusiasm for, the association and its value to the newcomers. That peer-to-peer outreach, and the personalized, high-touch experiences that result, are invaluable, says Mundschenk. “When new members have great early experiences, they will recognize the value of their investment right away. When they don’t, they are more likely to be indifferent when renewal times comes around,” he says. Certainly, there are a variety of ways to engage members and the tactics might be different for each association. A key takeaway for boards is the importance of an engagement strategy. While new member recruitment remains a critical component to an organization’s growth, boards should recognize that member engagement should also be part of any growth strategy. Just think, if an association bumps up its retention rate by five percent, from 90 to 95 percent, that amounts to keeping members who might have otherwise left. If it averages a 10 percent annual increase in new members on top of that, the result is impressive membership growth. Ultimately, a more engaged membership creates a stronger, more desirable community, which helps with recruitment and retention. “It’s essential to examine your engagement efforts and ask your team what is being done to strategically engage members,” concludes Mundschenk.